Over the last few years I’ve been attempting to detox all my products - from food to beauty to cleaning. Since I know some of you may be doing the same (and I know how expensive the trial and error can be), I wanted to put together my favorites. I’m not sponsored by anyone or anything, just wanted to spread the clean love! First off, download the app ‘Think Dirty.’ While it’s a terrible name, it’s so so helpful when you’re overwhelmed in the grocery store. Scan the barcode or type in the name and it will tell you the level of toxicity. Green means you’re good to go, red means stop! Not only are their cleaning products non-toxic, they ACTUALLY work and will last you quite some time! They send you the concentrate and BPA free bottles, you divvy out the solution with some distilled/filtered water and ta-da! Clean home, chemical free. The laundry detergent + Oxygen boost is the best I’ve used. Non-toxic deodorant leaves pit stains on Jordans shirts, and this is the only detergent to get them completely clean! Go read their blog for some inspiration. 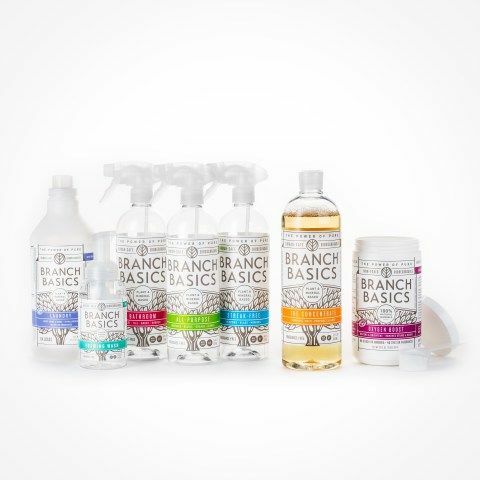 I liked Seventh Generation until I started using Branch Basics, especially in the laundry department. If you’re taking baby steps into this world of non-toxic, maybe start here! Truthfully, I don’t wear much make up anymore (thanks to the skin care products below), but I do reach for this mascara regularly. I had previously tried W3LL People mascara and it would end up smearing on to my lower lid every time. This stays in place all day. (If you need help getting it off, try some coconut oil on a cotton swab). Great colors and it actually sticks on your lid! Honestly, still looking. Nothing has felt like it really cleans my hair. I’ll update this if I find one! Because non-toxic shampoo typically doesn’t get sudsy, it’s hard for me to clean my thick hair without using half the bottle. This has been easier! I’ve really liked Honest Company’s Conditioner (thank you, Jessica Alba!). Target supposedly carries Honest, but I’ve had to buy it online. Leaves my hair so smooth! I like the Lavender, my mom likes the Orange! Unfortunately I didn’t find their shampoo to be effective. Bronner’s Unscented Castile Soap. Dilute it, always. It will last for so long and you can use it for body wash, shaving, I even use it to wash the dog. Wouldn’t suggest it for hair or skin, though (based on my experience)! Preface: I don't think my skin has ever been better, however, I do notice that what I eat directly effects my skin. The more sugar, processed food, etc, the more problematic my skin is. The more whole foods, veggies and water, the better and brighter - so take that into consideration! It’s what you put on and in your body! Beauty Counter Nourishing Cream Cleanser ($28) I love this stuff - it’s effective, soothing for sensitive skin and lightweight. You need maybe a pencil erasers worth, so expect it to go far! Different skin needs different soap - I prefer the Creamy Face Wash from above, but a friend of mine swears by the Charcoal Bar. Also, talk about going far. This will last you forever. Recently I was traveling and just cut off a tiny square - I don’t think I even made a dent throughout the trip! THIS IS SO QUICK, EASY, CHEAP and GOOD. Fill the bottle 25% with Emu Oil (if using Shea Butter, you’ll need to melt it down first). It’s that easy and you need less than a dime each time. It doesn’t make you oily because Jojoba oil mimics your skins natural oils, it smells great and it’s so lightweight for an everyday (and night) moisturizer. - Apple Cider Vinegar. 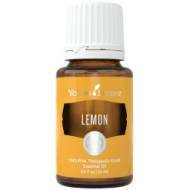 Put some on a cotton swab and rub on to the problem spot. Bragg’s is a great brand and you can find it anywhere. - Tea Tree. A little goes a long way, this stuff is pretty miraculous for an overnight pimple zapper. Some mornings I feel like my face needs to be washed, but other times it doesn’t. On the off days, I swab my face with Witch Hazel followed by a swab of Apple Cider Vinegar. Find both at Whole Foods (or any grocer). David’s Natural Toothpaste is my favorite but when I run out and haven’t thought ahead to order a replacement tube, I reach for Bronner’s Peppermint Toothpaste at Whole Foods. They have a great little travel size one that is so convenient. Also, whiten your teeth with Activated Charcoal Powder! A natural way to lighten and brighten teeth without killing the enamel. You can buy it in powder or pill form at Whole Foods! I use the pills when I have an upset stomach and will occasionally open one pill, sprinkle the powder on my toothpaste and brighten after brushing. Like Shampoo, this one was trickier because you really need it to work. 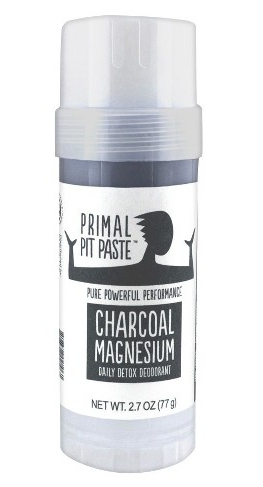 Our two favorites (husband approved) are Schmidt’s Natural Deodorant in Cedarwood + Juniper (we tried a few, this one was the best) and Primal Pit Paste Charcoal and Magnesium. The key to both of these is to hold it to your skin for a minute to let it warm up for an easier ‘glide’ on. *No links are sponsored or affiliated in any way.